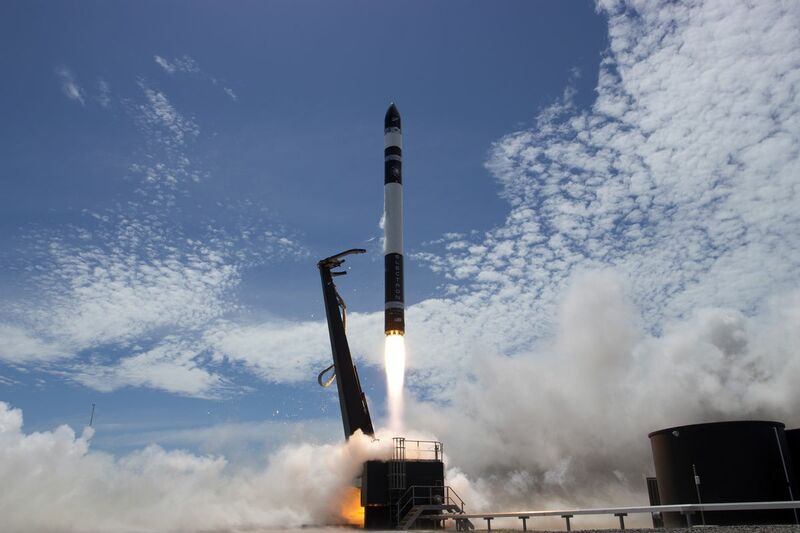 Rocket Lab has performed the first operational flight of its Electron rocket, named It’s Business Time. 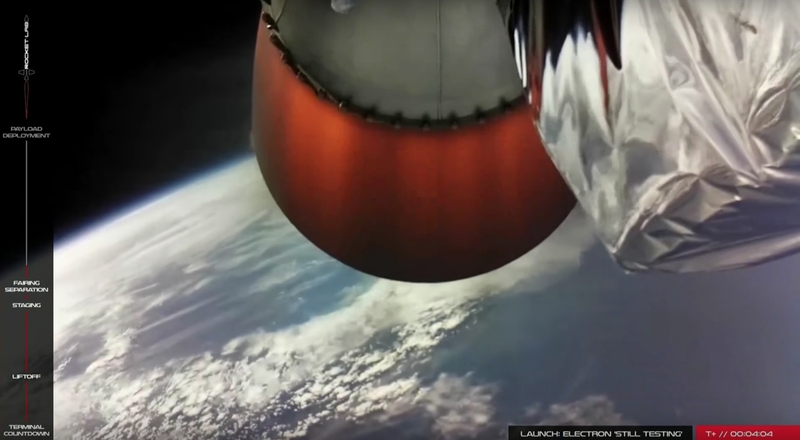 The mission launched six satellites, two for Spire Global, two new additional passengers for Fleet Space Technologies via the lofting of two ‘Proxima’ satellites, one for GeoOptics Inc., and one for Irvine CubeSat STEM Program. It also launched one technology demonstrator for High Performance Space Structure Systems GmbH. The rocket was to liftoff in June before a stand down requiring a realignment into November. The launch window opened at 03:00 UTC on Sunday morning, before launching at 03:50 UTC. With It’s Business Time on its seaside launch pad at the southern tip of the Māhia Peninsula on the Northern Island of New Zealand, the stage was set for the company’s first operational flight of its Electron rocket following two test flights, one in May 2017 and one earlier this year in January 2018. At T-7 hours, Rocket Lab’s launch team went on console at the Launch Control Center to monitor the final activities ahead of liftoff. All roads to the launch site were closed at the T-6 hour mark; this was followed by engineers lifting Electron vertical and fueling the rocket with RP-1 (rocket-grade) kerosene at T-4 hours and counting. The launch pad was evacuated of all personnel at T-2 hours 30 minutes, and loading of Electron with Liquid Oxygen (LOX) commenced at the T-2 hour mark. This was followed at the T-1 hour mark with the commencement of the local aviation authority advising aircraft traffic of the launch and the launch hazard areas in an effort to prevent the range from becoming fouled by air traffic ahead of an anticipated on-time lift off. Final polling of the team and verification of the vehicle’s and ground systems’ conditions, final preparations for launch began at the T-10 minute mark, with the autosequence commencing and Electron’s onboard computers initiating the launch sequence at T-2 minutes and counting. Ignition of the nine Rutherford engines at the base of Electron’s first stage were commanded by the rocket’s onboard computers at T-2 seconds. All nine engines ramped up to full thrust and underwent health checks before the vehicle was released from the launch pad at T0. Based on the computer systems and Electron’s command response capability, had the need to abort the countdown occur after engine start, an abort can be triggered as little as 0.1 seconds before liftoff – with the onboard systems reacting in enough time to prevent the release of Electron from the pad and the safe shutdown of the nine Rutherford engines. 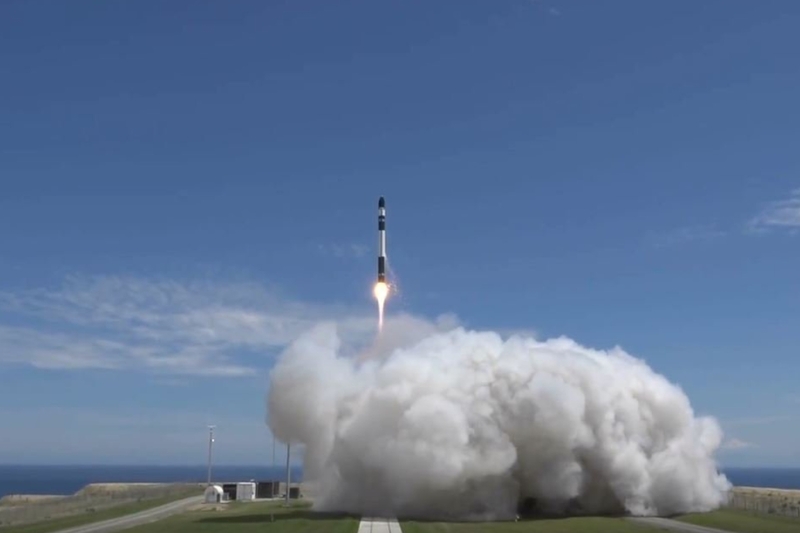 The liftoff occurred from Launch Complex 1 on the Māhia Peninsula – New Zealand’s first orbital launch site and the world’s first privately operated orbital launch site. After lifting off, Electron pitched downrange onto an azimuth that inserted the vehicle into an 85 degree inclination orbit. After 2 minutes 42 seconds of flight, the first stage’s nine Rutherford engines shutdown, followed three seconds later by Stage 1 separation. The second stage, powered by a single vacuum-optimized Rutherford engine, ignited at T+2 minutes 48 seconds, and the payload fairing separated shortly thereafter at T+3 minutes 6 seconds. At T+9 minutes 12 seconds, Electron will reached orbit; its second stage shutdown three seconds later at a total Mission Elapsed Time of 9 minutes 15 seconds. Five seconds after Stage 2 shutdown, the second stage separated from the third stage, the Curie kickstage. At this point, Electron and its payloads were in a 500 x 250 km (310 x 155 mile) orbit inclined 85 degrees to the equator. The Curie kickstage and five payload elements will then coast for 41 minutes 41 seconds before the kickstage ignites at T+51 minutes 1 second. The Curie burn will last for 1 minute 6 seconds, ending at T+52 minutes 7 seconds, to circularize the orbit ahead of payload separation. During the entirety of the launch phase, should the need to terminate the mission arise, a flight termination command can either be manually sent from the ground or automatically executed by the rocket’s onboard computers. For Electron, a flight termination event would result in a command being sent to shut down the Rutherford engines – a flight termination option known as thrust termination. In all, It’s Business Time carried seven payload elements, six satellites and one technology demonstrator, to orbit on Electron’s first operational flight. The mission itself is a rideshare between several separate entities and showcases Electron’s diverse rideshare capability on the small satellite launch market. According to Rocket Lab, the initially planned total payload mass for this flight was just over 40kg (88 lb), much less than the 225kg (496 lb) payload maximum and 150kg (331 lb) nominal payload mass Electron is capable of taking to a 500 km sun-sync orbit. This allowed – during the stand down from the previous attempt to add the two Fleet satellites to the manifest. They joined two LEMUR-2 satellites, a single satellite for GeoOptics Inc., the IRVINE01 CubeSat, and NABEO for High Performance Space Structure Systems GmbH. The two LEMUR-2 satellites, named LEMUR-2-ZUPANSKI and LEMUR-2-CHANUSIAK, are being launched for the data and analytics company Spire Global. Spire previously launched two LEMUR-2 satellites on the previous Electron flight, Still Testing, back in January 2018. These two new LEMUR-2 satellites will join Spire’s constellation of more than 50 nanosatellites currently in Low Earth Orbit. LEMUR-2 satellites are used by Spire Global for Automatic Identification System (AIS) vessel tracking data to monitor ship movements over the most remote parts of the globe. The satellites also employ GPS Radio Occultation to monitor weather. In a first for Spire Global, the two LEMUR-2 satellites launching on It’s Business Time will be the first for the company to employ Automatic Dependent Surveillance-Broadcast (ADS-B) to enable Spire’s AirSafe aircraft tracking service. These are the 74th and 75th LEMUR-2 satellites launched for Spire Global and the 78th and 79th overall nanosatellites to be launched for the company since their first small satellite was launched in 2013 and deployed later that year from the Kibo laboratory of the International Space Station. Joining the LEMUR-2 satellites was a single satellite for GeoOptics Inc. 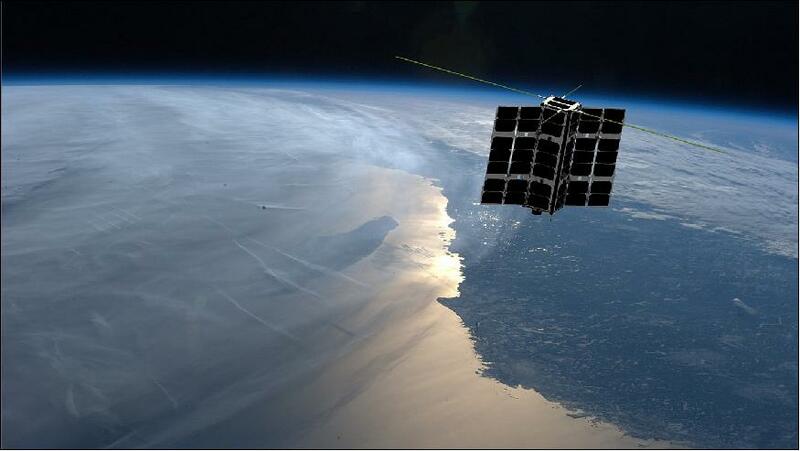 The satellite was built by Tyvak Nano-Satellite Systems in Irvine, California – the first of two collaborations from Tyvak launching on It’s Business Time. The second is the IRVINE01 CubeSat – which Tyvak Nano-Satellite Systems provided engineering support and served as the integration partner for. 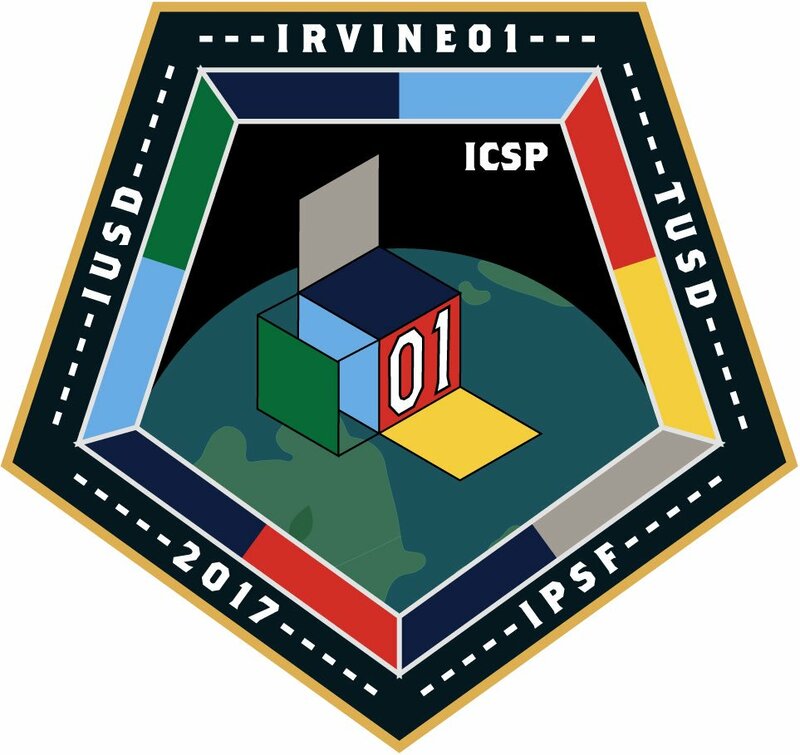 IRVINE01 itself is a collaboration between 150 high school students from six Irvine schools as part of the Irvine CubeSat STEM Program and was funded by private sector donations to the Irvine Public Schools Foundation. The Irvine CubeSat STEM Program is a collaboration between Irvine Public Schools Foundation, Irvine Unified School District, and the Tustin Unified School District to train and inspire the next generation of STEM professionals, is comprised of students from six public high schools in the City of Irvine (Beckman, Irvine, Northwood, Portola, University, and Woodbridge), and carries the objective to assemble, test, and operate a nano-satellite in Low Earth Orbit. Through this project, students develop and practice STEM skills in technical documentation and communication, project management, hardware and software, mechanical and electrical subsystems, programming, radio and optical communications, and data analysis. Students also gain technical skills through hands-on experience and mentorship from industry professionals as well as invaluable skills such as communication, problem solving, and teamwork. IRVINE01 was the first attempt to successfully launch a high school-built CubeSat in California and on the West Coast of the United States and will allow students to operate the CubeSat to position its antennae, solar panels, and camera for optimal operation as well as collect data that students can practice evaluating and share for further study. Specifically, IRVINE01 carries a low-resolution camera that will take pictures of Venus, stars, and other celestial objects, with the images used to calculate distances to stars and determine pointing accuracy and stability of the satellite. The final payload element is a technology demonstrator: NABEO, a drag sail technology demonstrator designed and built by High Performance Space Structure Systems GmbH that will test the ability to passively deorbit inactive, small satellites using atmospheric drag. The NABEO demonstrator launched on It’s Business Time will use a small sail, an ultra thin membrane, that will be tightly coiled within the spacecraft for launch and then deployed once the satellite reaches the end of its operational lifespan.